Talk about a powerful story of resistance. This book by Russell Freedman — We Will Not Be Silent: The White Rose Student Resistance Movement That Defied Adolf Hitler — about the White Rose Resistance Movement in Nazi Germany, in which young people secretly organized a resistance movement against Hitler, is powerful on so many levels. It shows how courage and organization, as well as sacrifice, can change the minds of people, and give courage in the face of fear. And it’s all a true story, too, documented with research by Freedman. There are images and letters and journals and context, all showing how the narrative of Germany during the war is often missing the stories of those common Germans who did what they could to resist Hitler and the rise of violent Nationalism and Fascism. Here, the story focuses on a brother and sister, Hans and Sophie Scholl, who helped organize The White Rose to disseminate leaflets and information, with secret printings and clandestine meetings, and to counter the Nazi propaganda machine. The students who were part of The White Rose network began the resistance as high school-age and then continued into the University years as the World War unfolded. And ultimately, both Hans and Sophie paid the cost of resistance with their lives, as they were caught with White Rose leaflets, brought before the ‘Hanging Judge,’ and quickly executed for their actions. Their deaths brought a whole new level of energy to the resistance movement, however, and their story — the whole story of The White Rose Resistance — serves as a reminder that everyday citizens still have a chance to take a stand, even in places where the government has taken control with little regard to morality and ethics and common law. This book is geared more for high school students, given the content, but some middle school readers may find it interesting. It is a bit too intense for younger readers. Freedman does a nice job of turning non-fiction into a page-turning read. These are a few of the video game reviews from this year. What games do you play? 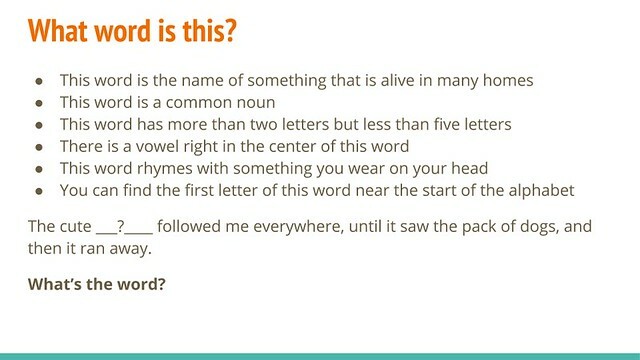 I introduced a game-style activity yesterday for our vocabulary lessons called Mystery Word, where you give a series of escalating clues for the guesser to guess the word. Honestly, I needed about twice the time I allocated for this during classtime (we had other things to get to, too), and it all felt too rushed to be as effective as I wanted it to be. 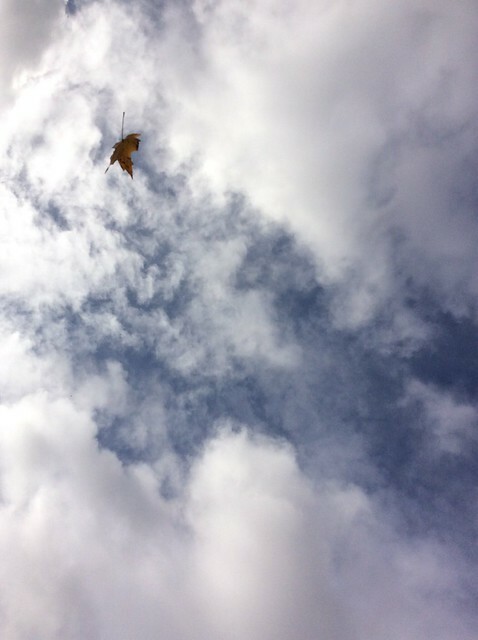 Next time … more time. 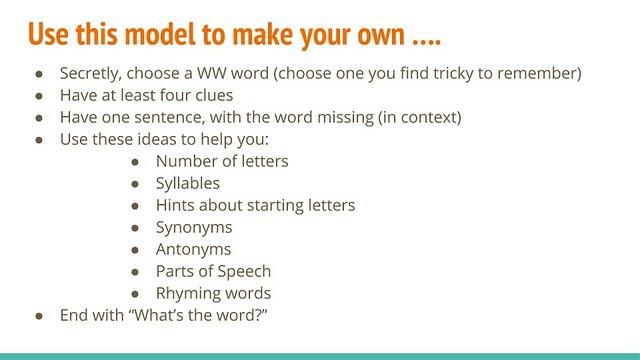 But, the students really enjoyed the challenge of coming up with clues that pointed to a vocabulary word without giving it away completely at the start. I had them write the clues out on notecards, which we then distributed around the room. A better version would have been to have each one read the clues, one clue at time, to a partner, and use our listening skills to locate the words. And I probably should have done more quick mini-lessons on syllables, Parts of Speech, rhyming, etc. I didn’t make up the Mystery Words activity, and I was trying to remember where it came from. I think it is both a variation of a Mystery Number activities that our math teacher does earlier in the year (complex clues to find a number) and an adaptation of a lesson from a writing project teacher who co-taught a digital writing summer project for struggling high school students with me as my English as a Second Language partner, and I gleaned a lot of vocabulary acquisition ideas from her work. The game-and-guess format makes for an engaging time, and adds a wrinkle to learning and using new words. 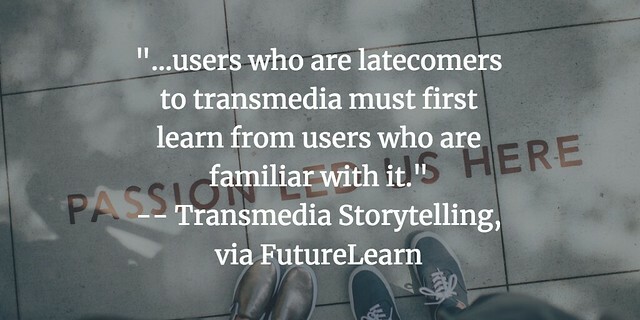 I’m taking a free online course through FutureLearn about Transmedia Storytelling. I aim to reflect every now and then on some of what I am learning or thinking about. 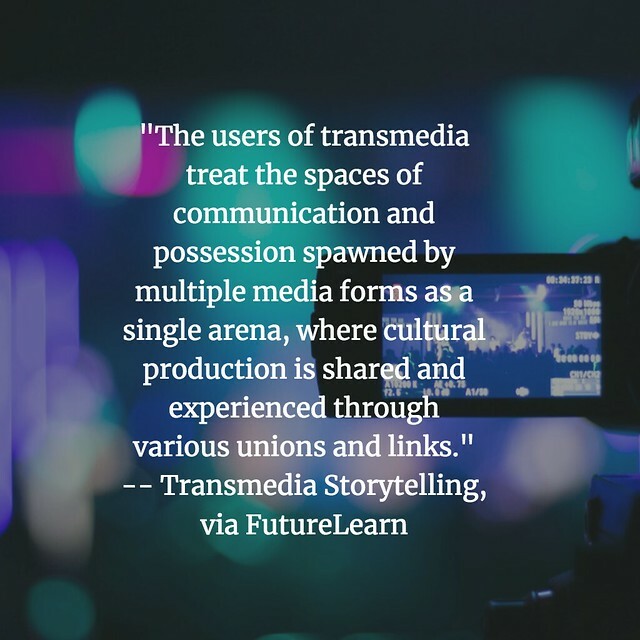 This is not the first time I have been exploring this concept of Transmedia — of how different media platforms might be used collectively to tell a story, and how each platform (think: from blog to social media to image to audio to video, etc.) might be utilized for its own attributes to help a ‘reader’ experience the story in different media and different mediums. I imagine this concept as a painter with a canvas, and the painter is using not just paint, but other materials. The canvas is the composition, but the materials are the different elements that will bring the larger vision to reality. 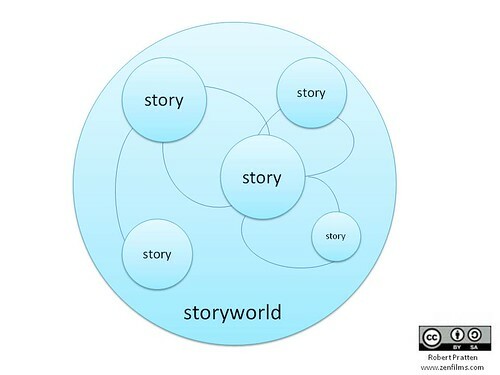 With Transmedia, the ‘composer’ views all of the platforms as possible places to thread a story. The story itself is the canvas. The platforms, and how we compose there, is our ink and paint. 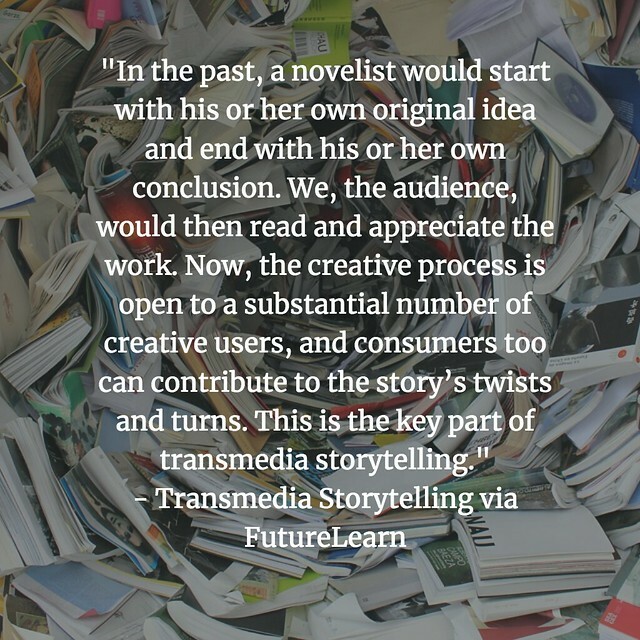 Transmedia has the possibilities of collaboration — between writer but also between writer and reader, narrowing that gap between who creates and who responds to the creation. The course notes that shifts in technology have allowed more of this to happen, particularly as more mobile technology has emerged. Many apps blend experiences, opening the door for potentially interesting interactions. This is also how many companies are now marketing products to consumers, leveraging our attention into cool storytelling techniques with product placement and immersive commercials. We, the reader, have to be aware of how our storytelling senses can be manipulated by corporations in this way. This concept of Transmedia is rather new (although forms of it have its roots in earlier designs — such as the Magic School Bus series of picture books that became a television show that became video games, etc.) and the technology possibilities are becoming more and more available to more and more creators. But having examples – mentor texts — is a key element here, and we are learning from each other how to do this, and why one might do this. 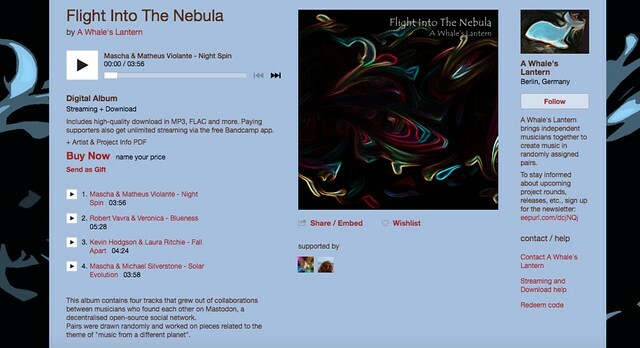 In one year’s Digital Writing Month (the site is now offline, alas), I tried my hand at a Transmedia piece. Want to see it? Follow the leaf. I was facilitating a professional development session yesterday afternoon with my colleagues, and I wanted to find an engaging “write into the day” activity. The topic of the PD was using Google Classroom to help ease flow of information and assignments to and from teachers and students (currently, I am the only one using Google Classroom in our school). 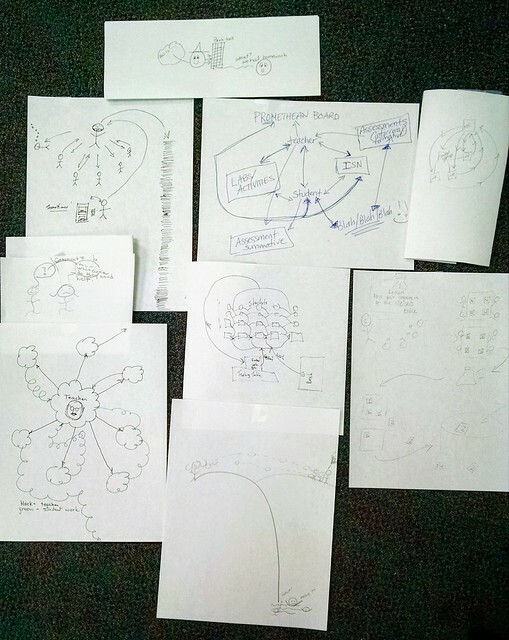 I remembered all of our work this summer in CLMOOC with doodling and drawing (and this month has been DecDoodle via CLMOOC, so I have been doodling every morning on daily themes) and using illustration as a way to think on the page. 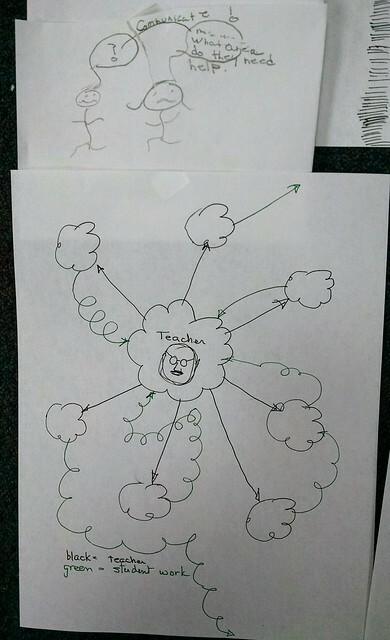 So, my prompt for colleagues at the very start of the session was “Doodle what Flow looks like in your classroom setting” and we septn about 15 minutes doodling and then sharing. A few looked at me at first like, you want me to doodle? Yes, indeedly do. Or yes, indeedly doodle. 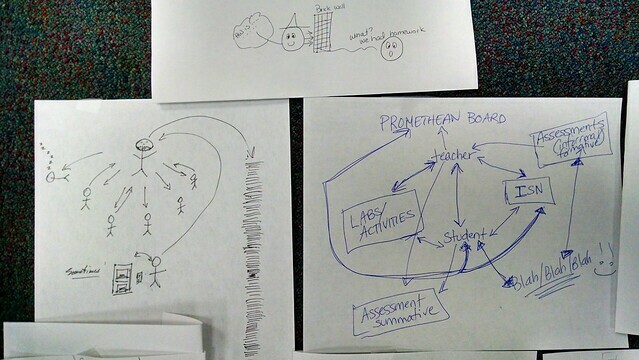 The range of drawings and representations was pretty cool, and provided a nice frame for our discussions and exploration of Google Classroom from the standpoint of making the management of student work and assignments and interactions a little easier (as long as you understand Google’s impetus to build easy-to-use products to hook long-term users). In one sitting, I dug into all three of the available Stonebreaker books (and I imagine at some point, Wartman might try to unite the stories into a single graphic novel) and ended curious, wanting more. That’s when you know a story has gripped you. Stonebreaker is set in an ancient city that has been destroyed by a Demon God (whose origins we learn here but not much else, but is probably covered in the earlier book, Over the Wall). The city is now mostly abandoned by people, except for folks like our hero, Anya, whose friendship with another Demon (a librarian who is friendly with Anya but who has past memories are just arriving) seems to be central to the larger story narrative. Anya’s brother has a backstory, too, in which he also went into the city, but lost his memory in some encounter with another demon. There’s a lot of mystery here in Stonebreaker, and Warton is sprinkling hints of where the story is going. The reader has to immerse themselves in the world, and make some inferential leaps about characters. I don’t mind that, particularly with graphic novels like this, but it may be confusing a bit for some other readers not accustomed to diving right in to an imagined world. I also later ordered and then read Over the Wall, the prequel story that sets Stonebreaker in motion by introducing the characters, and setting, and storyline. It’s admittedly odd to read the second story first before the first story, and I found myself enjoying Stonebreaker a lot more than Over the Wall, which itself is a fine bit of storytelling. I just happen to think Stonebreaker is a richer experience, perhaps the results of Wharton’s sense of the story and world expanding as he continues to create. The Stonebreaker series (so far) and Over the Wall are perfectly appropriate for elementary and middle school (and high school) readers. My students are not just playing video games all December for our Game Design Unit. We do lots of writing, although most of it is “sneaky” writing on my part — smaller, quick reflection points mixed with larger, more formal writing. 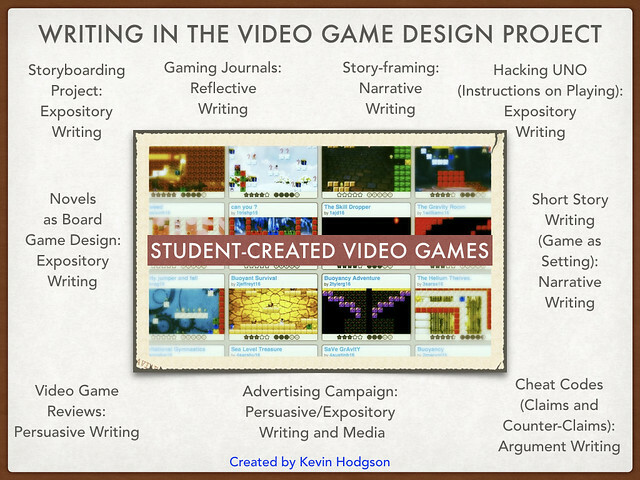 A few years ago, for a presentation, I began to chart out the various writing assignments that take place (as much to document our work as to justify any questions from parents and administrators). 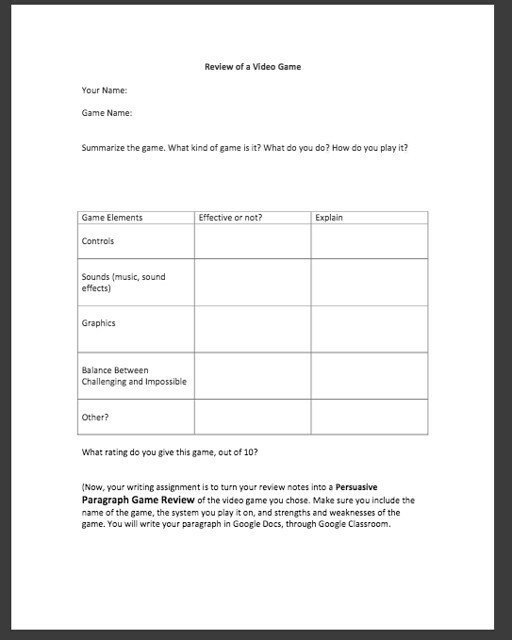 Today, they are working on the writing of their persuasive Video Game Review assignment, crafting an argument about a video game through the lens of design features (controls, visuals, sound, etc.) Meanwhile, some students are starting to finish and publish their video game projects, and getting other kids from around the world in Gamestar Mechanic to play and give feedback on their projects. 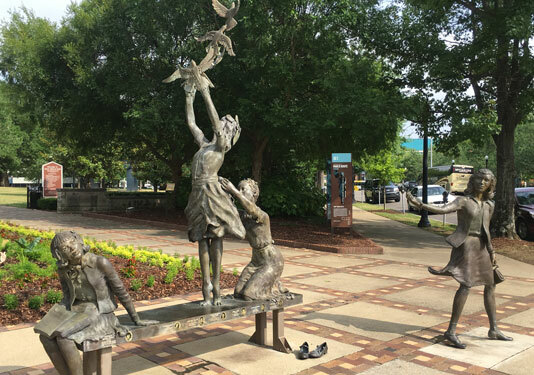 Photo: This West Park sculpture in Birmingham, Ala., commemorates the four little girls killed in the Sixteenth Street Baptist Church bombing on Sept. 15, 1963. 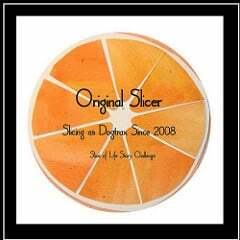 Denise McNair, 11; Carolyn Robertson, 14; Addie Mae Collins, 14; and Cynthia Wesley, 14. There are many reasons why I could not fathom the rise and candidacy of Roy Moore in Alabama. But I read deep enough into the election from many sources to be reminded again that different parts of the country, particularly some sectors of the rural South, see the world very different from my perch here in liberal Massachusetts. Still, this morning, when I read that Doug Jones won over Moore in that Alabama special election for Senate, I felt myself exhale and go … phew! I don’t expect Jones to be the progressive candidate I personally would like — that is not his constituency — but … phew. Here’s another reason why I really wanted Jones to win (other than a thumb to the eye of Trump and another thorn in the side of the GOP-run Senate): Jones was the U.S. Attorney who helped prosecute the racist white supremacists who had bombed the church in Alabama that killed four little girls (and injured other children) that is the heart of the book we read in my classroom — The Watsons Go to Birmingham 1963 by Christopher Paul Curtis. I always start the book with Curtis’ dedication page, in which he names the four girls who were killed, and we talk about what the dates next to the names mean (how young they were and how they were all killed on the same day). At the end of the novel, we circle back around, and talk about the girls and use primary sources to understand the Civicl Rights and the toll it took on so many people and families. Now, when we read that book, I can point to Jones as one of the people who would not let that crime go unpunished, even though it took decades to identify and prosecute those responsible, and Jones’ rise to the US Senate is partly built on that experience. It has indeed been a year of loss within our teaching staff family. Two colleagues have lost their husbands in unexpected and tragic circumstances, the most recent happening just the other day. A cloud of concern hangs over us all at the school. We talk to each other in low voices in the hallways, checking in with other. We ask about news from those who are dealing with grief, using the informal friendship grapevine to keep track and show support when we can. Our principal has been there for all of us, making sure we have space and a place to share thoughts and connect, and those simple gestures of understanding and compassion go a long way in any place where people work together. That email invited us to come together, after school, in the library, for some community time. The upper administration also seems to understand, sending its thoughts (and gifts of food and nourishment) to us. All of us are looking ahead to brighter days while opening our hearts to those of us still deep in the darkness of loss.